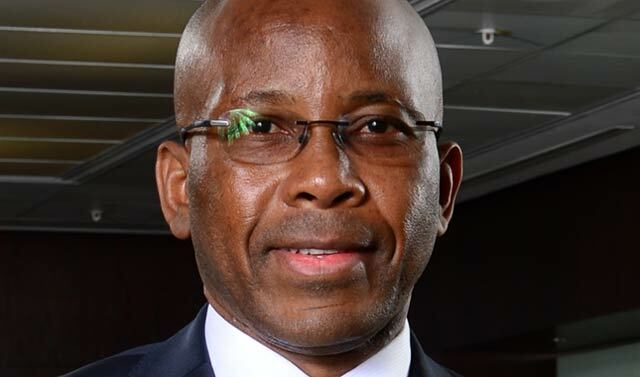 MTN has dished out R5,2m worth of shares to the CEO of its South African unit, Mteto Nyati. In a statement to shareholders on Friday, MTN said it had provided Nyati with an “off-market award of shares” as part of its performance share plan with a vesting period of two years. The mobile network said that Nyati received 37 500 shares at a market price per share of R139, and that the awarding of shares is subject to performance conditions. This means that he received a total value of R5 212 500 in shares. The disclosure of MTN’s share award programme comes after Vodacom announced last month that its CEO, Shameel Joosub, was given R18m worth of shares. Nyati, a former Microsoft South Africa MD, was appointed MTN SA CEO after Ahmad Farroukh quit in July 2015. Other MTN executives have also received millions of rand worth in shares as part of the company’s latest disclosed details about its performance share plan. MTN on Friday said that its group chief operating officer Jyoti Desai received shares worth R12,6m, while the company’s group chief human resources and corporate affairs officer, Paul Norman, received R6,4m. MTN company secretary Bongi Mtshali received R1,4m worth of shares, chief financial officer Sandile Ntsele was given R3,5m, group vice-president for West and Central Africa Karl Toriola received R7,6m and CEO for MTN Nigeria Ferdi Moolman received R6,2m. MTN’s awarding of these shares comes amid a recovery of the company’s stock price on the JSE. Amid regulators slapping a US$3,9bn fine on MTN Nigeria last year for unregistered SIM cards, MTN’s share price plummeted in the subsequent months by around 30%. But last month, MTN announced that it had reached an agreement with regulators to settle the fine at a lower cost of $1,7bn while the company has further committed to listing in Nigeria. MTN last month also announced Vodafone executive Rob Shuter as its new group CEO. Shuter is expected to join MTN in 2017. As a result, MTN’s share price has risen by around 25% since the fine settlement. In Johannesburg on Friday at 11.14am, MTN’s share price was trading at R138,96.